One of the main limitations of rice yield in regions of high productive performance is the light-use efficiency (LUE). LUE can be determined at the whole-plant level or at the photosynthetic apparatus level (quantum yield). Both vary according to the intensity and spectral quality of light. 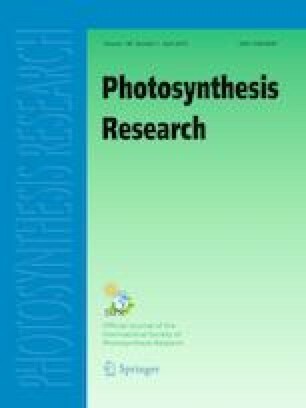 The aim of this study was to analyze the cultivar dependence regarding LUE at the plant level and quantum yield using four rice cultivars and four light environments. To achieve this, two in-house Light Systems were developed: Light System I which generates white light environments (spectral quality of 400–700 nm band) and Light System II which generates a blue-red light environment (spectral quality of 400–500 nm and 600–700 nm bands). Light environment conditioned the LUE and quantum yield in PSII of all evaluated cultivars. In white environments, LUE decreased when light intensity duplicated, while in blue-red environments no differences on LUE were observed. Energy partition in PSII was determined by the quantum yield of three de-excitation processes using chlorophyll fluorescence parameters. For this purpose, a quenching analysis followed by a relaxation analysis was performed. The damage of PSII was only increased by low levels of energy in white environments, leading to a decrease in photochemical processes due to the closure of the reaction centers. In conclusion, all rice cultivars evaluated in this study were sensible to low levels of radiation, but the response was cultivar dependent. There was not a clear genotypic relation between LUE and quantum yield. The online version of this article ( https://doi.org/10.1007/s11120-018-0605-x) contains supplementary material, which is available to authorized users. We would like to acknowledge the Agencia Nacional de Investigación e Innovación (ANII) which funded the Doctoral Scholarship of Gaston Quero (POS_NAC_2012_1_8560). This research was also funded by an INIA Project named “Desarrollo de una plataforma de fenotipado como base para la mejora de la tolerancia a estrés ambiental de cultivos y ajuste de modelos de simulación” (L4_10_1_AZ_BT_GT1_8850), and by Grupo Comisión Sectorial de Investigación Científica (CSIC I+D 418).